Gary Stager:Gary Stager is one of the world’s leading experts and advocates for computer programming, robotics and learning-by-doing in classrooms. In 1990, Dr. Stager led professional development in the world’s first laptop schools and played a major role in the early days of online education. In addition to being a popular keynote speaker at some of the world’s most prestigious education conferences, Gary is a journalist, teacher educator, consultant, professor, software developer, and school S.T.E.M. Director. An elementary teacher by training, he has taught students from preschool through doctoral studies. Gary is the founder of the Constructing Modern Knowledge summer institute for educators, an event that stems from many conversations with Seymour Papert. Dr. Stager’s latest book (with Sylvia Martinez), “Invent To Learn – Making, Tinkering, and Engineering in the Classroom,” was published in May 2013 by Constructing Modern Knowledge Press. The book brings the excitement and revolutionary game-changing technologies (3D printing/ of the maker movement fabrication, computer science and physical computing) to K-12 classrooms. It also asserts the historic role Papert played inmany of today’s most progressive trends. Gary was the principal investigator for Dr. Papert’s most recent institutional research project, the creation of a constructionist learning laboratory inside a troubled prison for teens. Mitchel Resnick, LEGO Papert Professor of Learning Research and head of the Lifelong Kindergarten group at the MIT Media Lab, explores how new technologies can engage people in creative learning experiences. Resnick’s research group developed the “programmable brick” technology that inspired the LEGO Mindstorms robotics kit. He co-founded the Computer Clubhouse project, a worldwide network of after-school centers where youth from low-income communities learn to express themselves creatively with new technologies. Resnick’s group also developed Scratch, an online community where children program and share interactive stories, games, and animations. He is author of Turtles, Termites, and Traffic Jams (1994), co-editor of Constructionism in Practice (1996), and co-author of Adventures in Modeling (2001). In 2011, Resnick was awarded the McGraw Prize in Education. consortium, which launched the era of digital news. Bender’s book, Leaning to Change the World, on technology. learning, and social entrepreneurship was published in 2012. Danny Fain has been a STEM teacher and gameful educator for about 15 years at the middle- and high-school level, pioneering and facilitating the use of innovative digital games in a variety of classroom settings. Recently working with a student population that has moderate learning disabilities, Danny coordinated the participation of science classes in two game-based research studies, and has also been teaching the basics of game/simulation design. He is currently nearing completion of a graduate certificate in Serious Game Design & Research, and serves on Filament Games’ Educator Advisory Panel. Danny contributed as a team leader and coach in the Learning Games Network’s Game Design summer camps of 2010 – 2013, and has helped to design and promote LGN’s new Playful Learning initiative. Dr. Cynthia Solomon is a pioneer in the fields of artificial intelligence, computer science and educational computing. Forty years ago while at Bolt, Beranek & Newman, Cynthia, along with Seymour Papert and Wally Feurzeig created the first programming language for children, Logo (programming language). She was Vice President of R&D for Logo Computer Systems, Inc. when Apple Logo was developed and was the Director of the prestigious Atari Cambridge Research Recently, Solomon directed the creation of educational materials for the One Laptop per Child Foundation. Dr. Solomon has maintained a long relationship with the MIT Media Lab and the One Laptop Per Child Foundation. Her doctoral research at Harvard led to the publication of the critical book, Computer Environments for Children: A Reflection on Theories of Learning and Education. 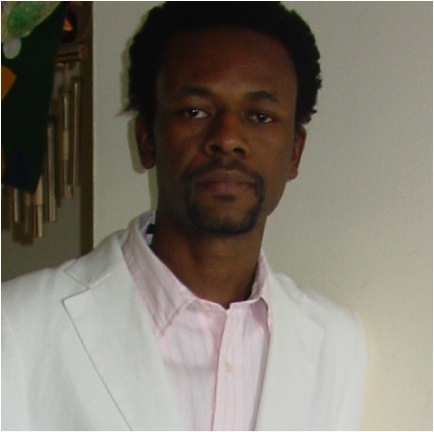 Solomon is also the co-author of Designing Multimedia Environments for Children, with Allison Drum. Claudia Urrea has over 20 years of experience in the field of Education and Technology. After completing her graduate studies at the Massachusetts Institute Technology, Urrea worked for 1 year at the Interamerican Development Bank as a consultant in the Education Sector, and 5 years at One Laptop Per Child organization as Director of Learning. At OLPC, she was in charge of designing, developing, and implementing a learning vision for the organization. She also collaborated with all One Laptop per Child (OLPC) learning teams and local coordinators in countries around the world to provide a solid learning development program. Claudia Urrea is a versatile consultant and project manager, with expertise in a broad range of education and technology areas. Her areas of interest include research, qualitative assessment, curriculum design, primary and secondary education, online learning, education for developing countries, teacher professional development, educational programming and robotics, and maker education. Claudia Urrea was born in Colombia, where she received an undergraduate degree in Computer Science from EAFIT University. In the mid 90s, she moved to the US, where she received her Master’s degree in Educational Media and Technology from Boston University, and her doctorate degree from the MIT Media Laboratory. Her PhD thesis studied the implications of one to one learning in a rural setting in Latin America. She has helped multiple governments and non-government agencies to empower and support schools and communities of learners to evolve from traditional teaching methods into progressive learning environments. Dr. Urrea holds a visiting research position with the Lifelong Kindergarten group at the MIT Media Lab. She has taught several classes at the Harvard Summer Program and Early Childhood Development program at Tufts University. She has consulted with international and multi-sectoral organizations such as the Inter-American Development Bank and Schlumberger Excellence in Education Development-SEED. Brian Silverman Computer Designer. Brian is Co-Founder and President at PICO Cricket. After graduating from MIT, he worked for many years as Director of Research at LCSI, the world’s leading developer of Logo software. He serves as a part-time consulting scientist to the MIT Media Lab, where he has helped develop many new educational technologies, including the Pico Cricket. George Newman. Founder of One Planet Education Network: has over 30 years of work experience in information technology consulting and technology-based education program development business. He is Founder and Managing Director of One Planet Education Network, LLC (OPEN), an educational content development company focusing on videogame-based learning and related collaborative media. See http://www.oneplaneteducation.com for detailed information of the ongoing work of OPEN. Johnny W. Ronelus is a doctoral candidate in the DPS program at Pace University Seidenberg School of Computer Science and Information Systems. He has been a STEM educator and instructional designer for over 15 years at the elementary, middle- and high school level. Prior to teaching at the preK-12 level, he has conducted undergraduate research and training in Biochemistry, Molecular Genetic, and Metabolic Engineering and has been an MBRS student during his undergraduate years. He is currently the lead educator/researcher for One Planet Education Network (OPEN). He has been actively engaged in the maker movement since it inception. He is currently working with leading researchers and educators on a global scale to disrupt the traditional curriculum and pedagogy toward the goal of bringing a paradigm shift in the domain of education.